Enjoy everlasting illumination at an accessible price. 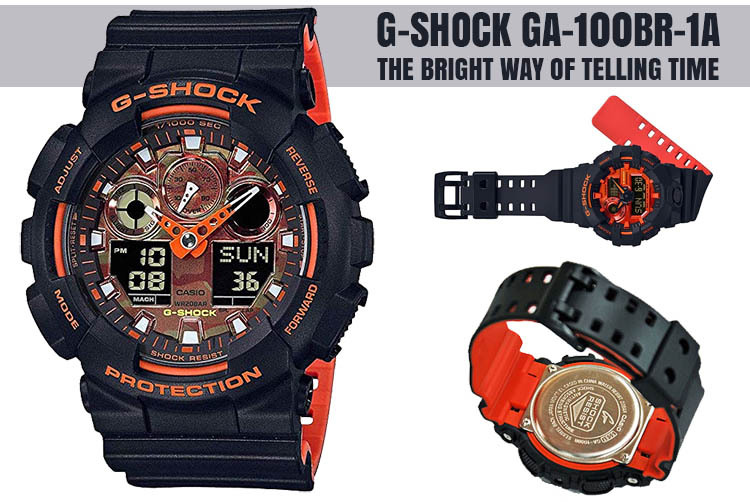 This watch is light and comfortable, with high contrast markers, very bright and easy to read at night. 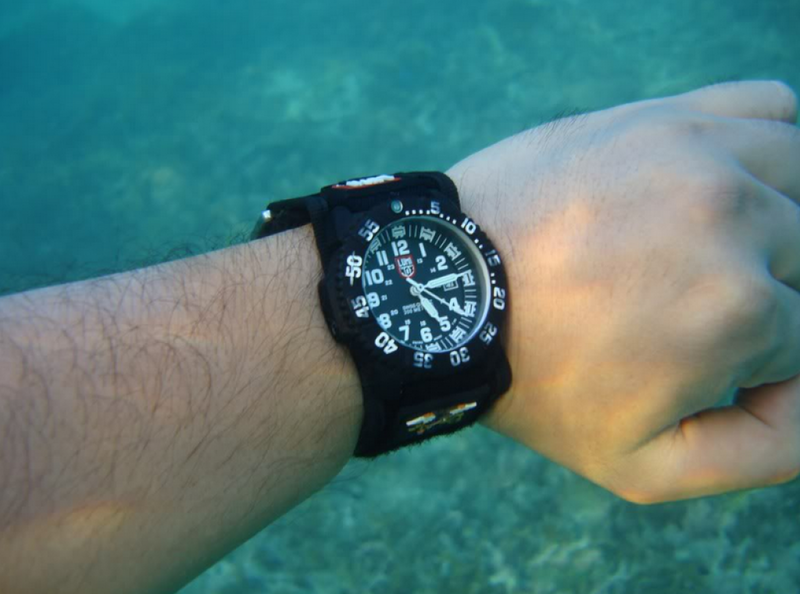 The affordable Tritium lume dive watch! 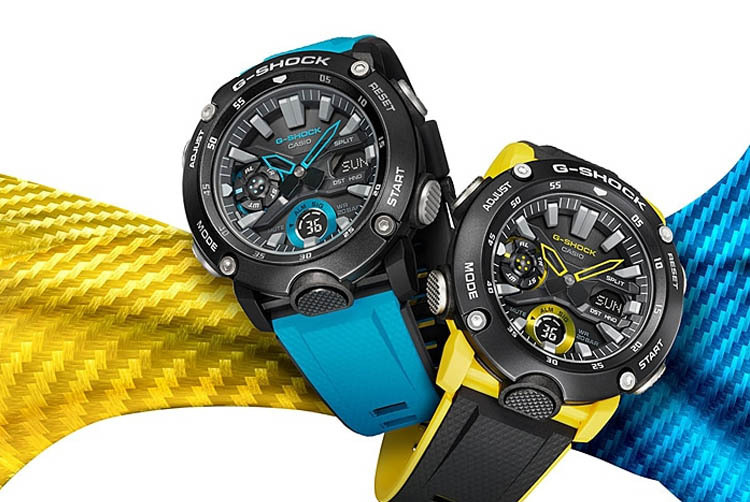 Great looks, quality materials, lightweight. Finding replacement straps is quite difficult since 23 mm is not a popular band size, mineral crystal is good but sapphire crystal for the window probably would have been a better choice. 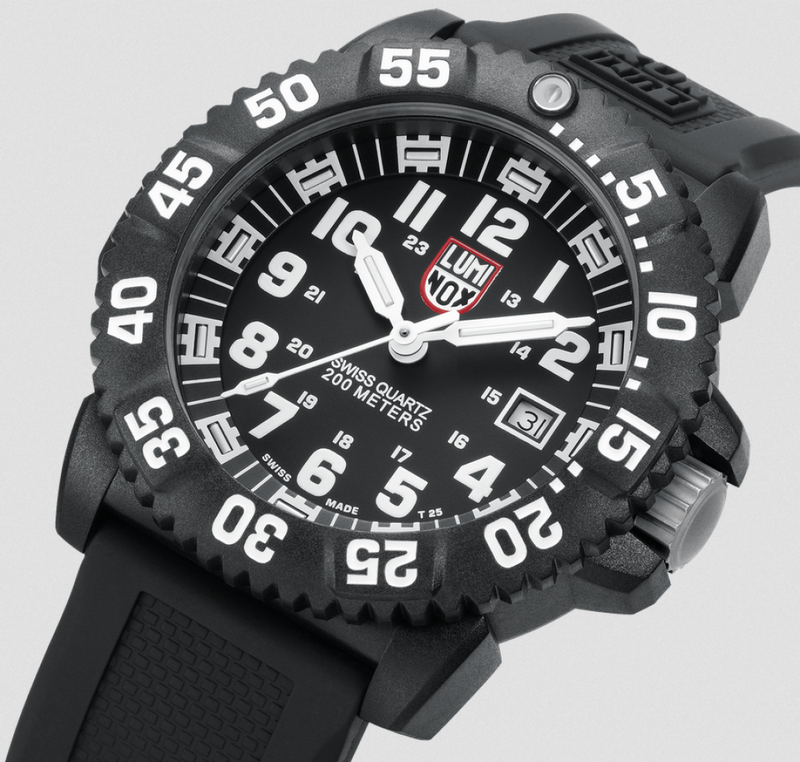 Luminox is one of the best brands on earth when it comes to tactical and outdoors watches. 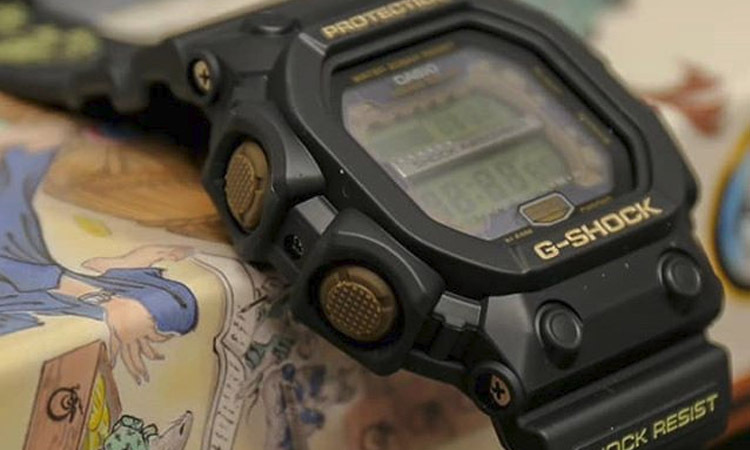 Their watch series are made with the help of elite soldiers, SWAT members and even professional Navy Seal Divers like the counter-terrorism expert and undersea explorer Scott Cassell. 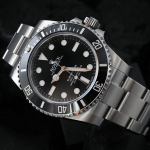 So the brand is all about professional watches that require a rigorous amount of features in order to satisfy the needs of some of the riskiest activities on the planet, all at incredibly competitive prices. 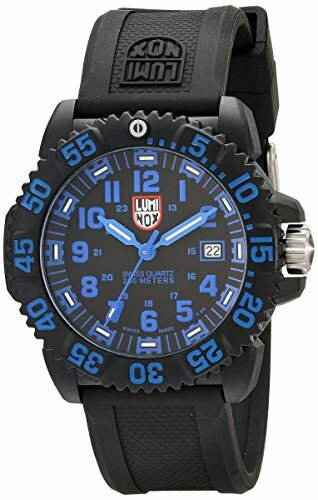 And the Luminox Men’s 3051 EVO Navy SEALS is no exception, you will see why below. 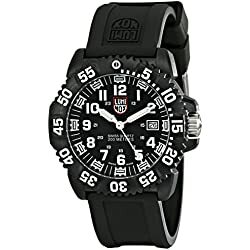 Since this Luminox comes from a series created to withstand even the most demanding activities of a Navy SEALS member, it has some of the best specs on the market regarding water resistance, quality of materials and fit/ease of use, in this price range. 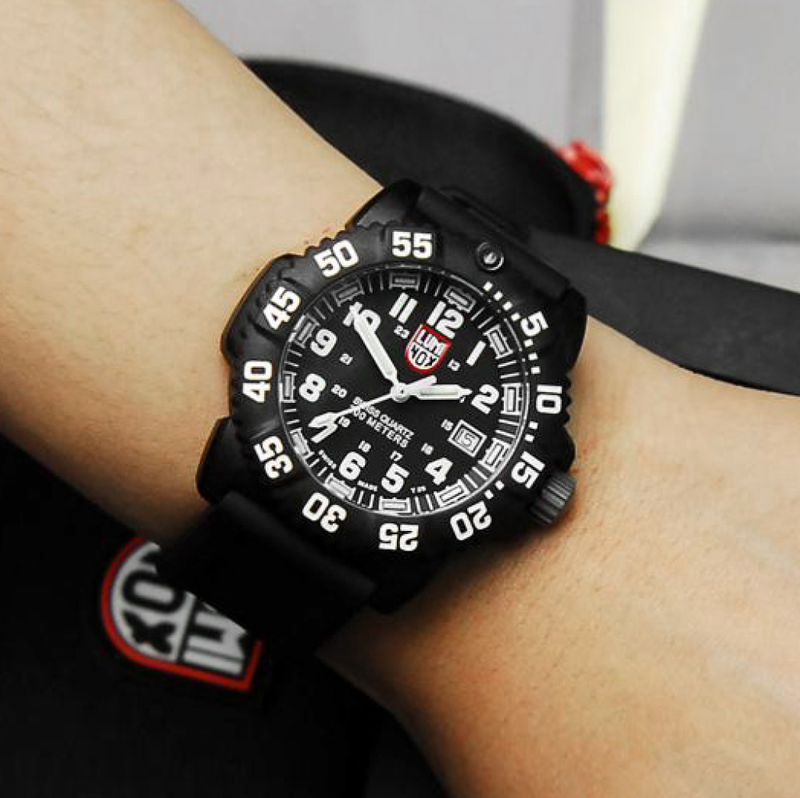 At a 660 feet water resistance, it covers the needs of most diving enthusiasts as well as a good number of professional divers. 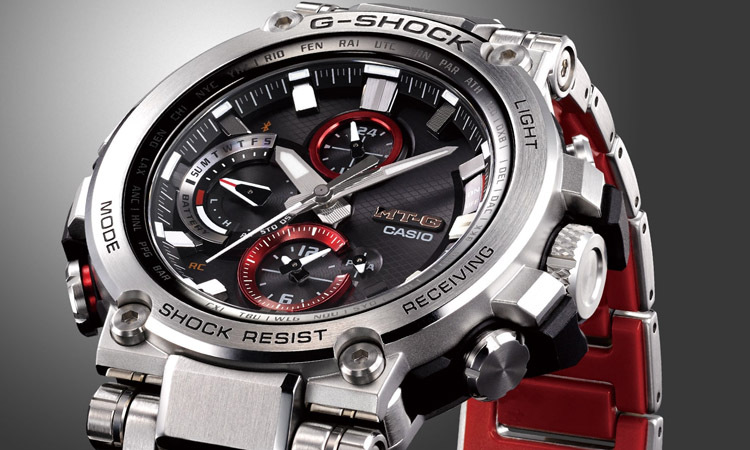 Speaking of materials, it features a Carbon reinforced plastic that behaves very well when it comes to all sorts of shocks that may occur quite often in an active person’s life and the dial window is made of a hardened mineral crystal which is basically immune to scratches and medium shocks. 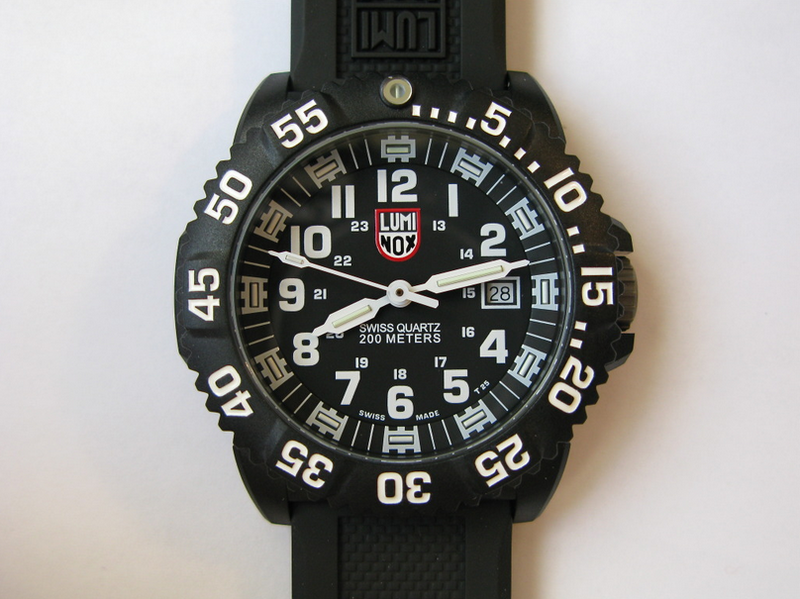 The strap is one of the best choices Luminox made here, coming with a type of Silicone that feels very good on the wrist both when dry or wet. 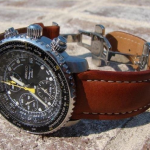 Although pretty basic, the two pin clasp securely closes the watch on one of the multiple tightening levels and you won’t have to think about the watch ever getting off of your wrist without your consent. 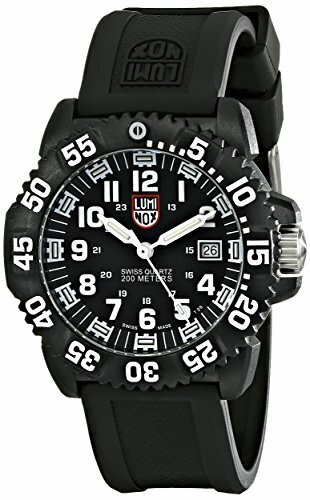 Luminox watches are also famous for their Swiss Made mechanisms which are very precise and the unique self-powered illumination system. Not too flashy, in order to maintain its stealthy and sober looks, but still enough for easy reads at a glance. 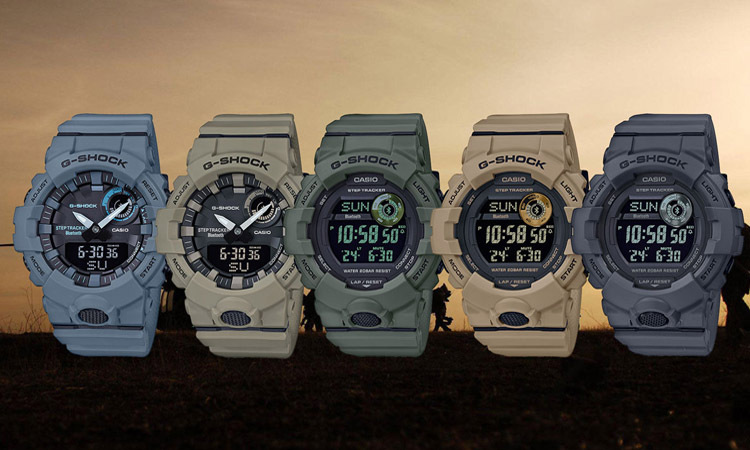 This is in a nutshell how I would characterize the illumination on the Luminox EVO 3051. 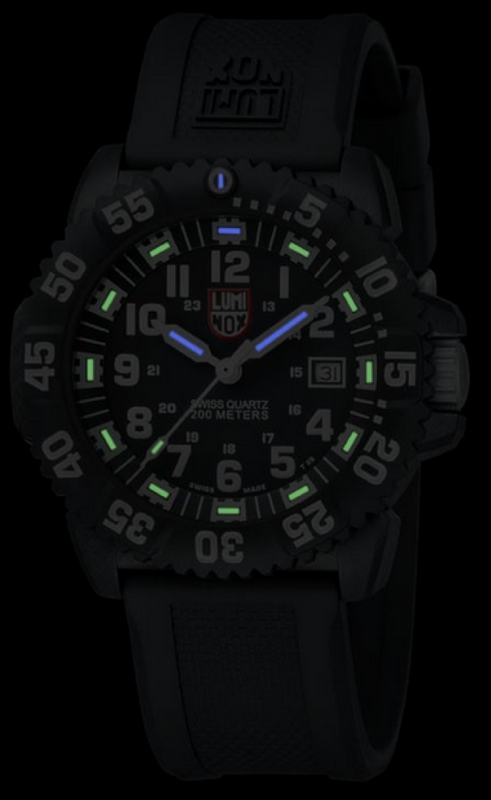 It features small but bright tritium markings and index hands that have blue color on the 5 minute and second-hand marker, green on the hour/minute hands and also green on the 12-hour marker. 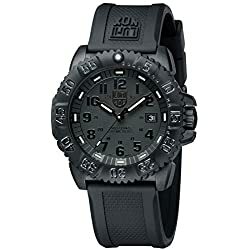 Also, something very important for professionals, that is very hard to find on complex watches like this one is a low magnetic signature, which is highly important for those that work with explosives or compasses. Also, not to mention that it makes life easier at airport checkpoints too. 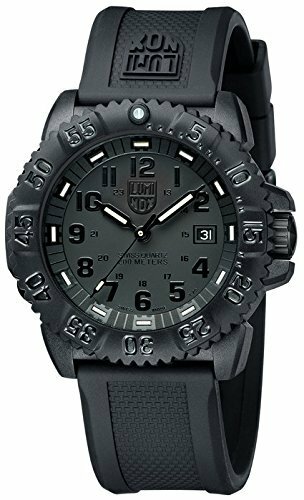 In the end, the Luminox Men’s EVO Navy SEALS is a watch that combines the heavy requirements of a professional watch and the indispensable features for divers in an affordable companion. 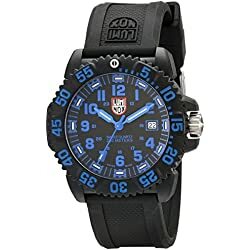 If you want a watch that both looks and acts professionally in every sense without spending a fortune, then the Luminox Men’s EVO 3051 Navy SEALS is certainly for you. 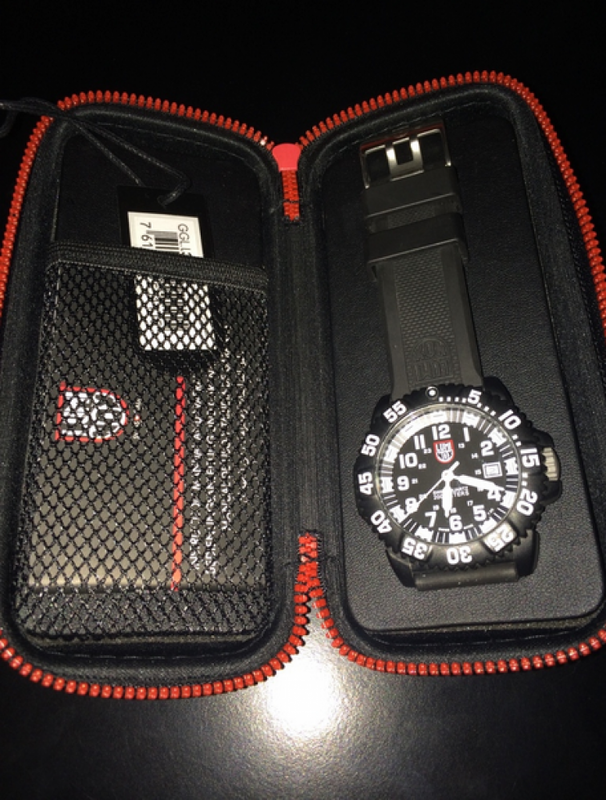 Luminox 3050 series watch review. 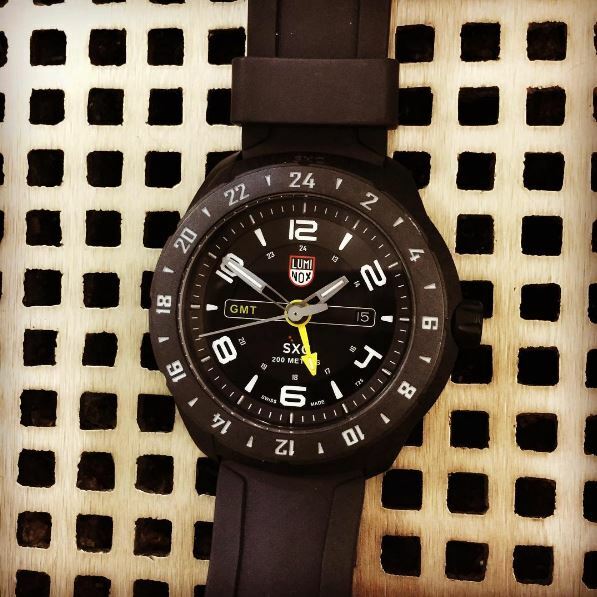 quick look at the 3051 blackout by luminox.